Ever wanted to cordon off your bedroom or fridge? 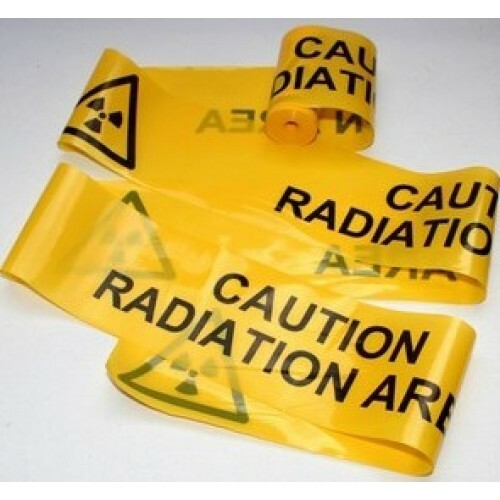 Well now you can with our vinyl Radiation barrier tape which features the standard radiation warning trefoil. It measures 75-85mm wide, depending on the batch and comes in 8m lengths. Alternatively, if you want to buy tape in lengths longer than 8m, buy in bulk, or just want a slightly smaller piece then please Contact Us below. PLEASE USE RESPONSIBLY - YOU DON'T WANT A VISIT FROM THE MEN IN HAZMAT SUITS!